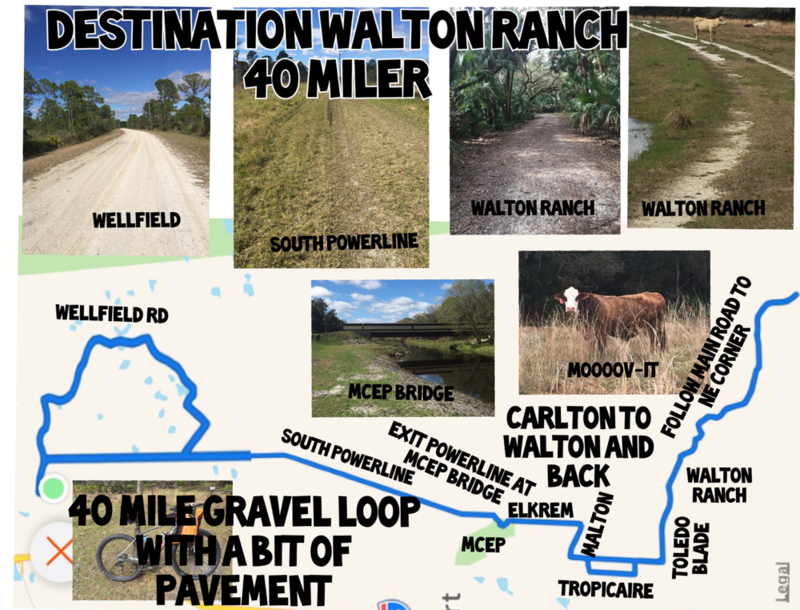 The entrance to Walton Ranch is at the North end of Toledo Blade, 1.5 miles north of I75. There are 19+ miles trails for hiking and biking. See the tab to the left for a suggested ride from the Carlton parking area to the Walton Ranch and back. 40 Mile loop from the Carlton to Walton and back.